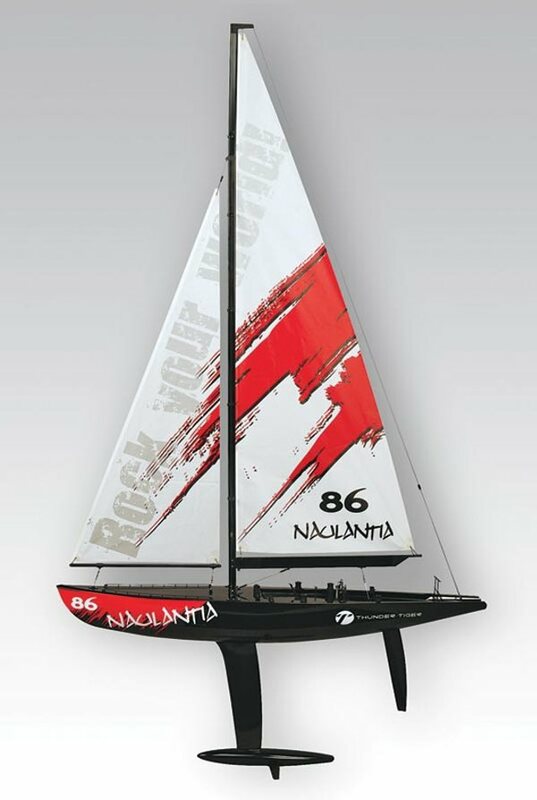 The Naulantia 1M Racing Yacht is perfect in mid to light wind conditions and will cut through the chop just like the full size boats that compete in the America's Cup. This sleek and beautiful yacht delivers a level of scale realism, but scale looks are only the beginning of what this yacht delivers. It is designed to be as fast as it is beautiful. 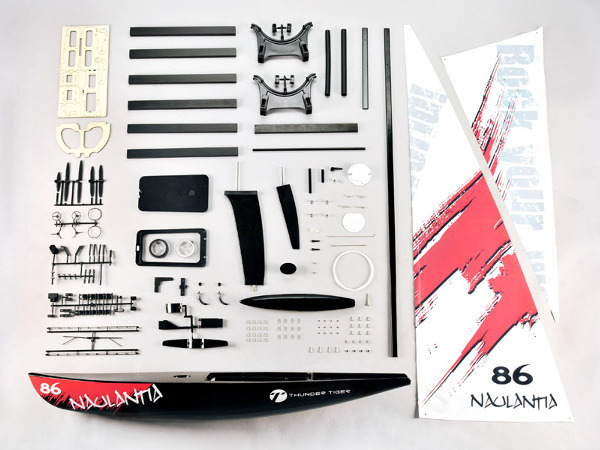 At over five and a half feet tall, the Naulantia cuts an impressive figure on the water - and its quality construction lives up to its looks. 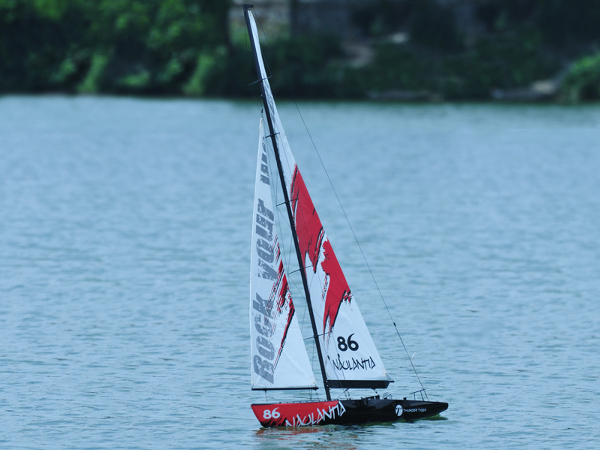 The ABS blow-molded hull is lightweight and rigid, just like the extruded aluminum booms and mast. When you are ready for adventure, let the Naulantia take you to where you want to go.